It was September of 2009. I answered a couple of gimme trivia questions and dropped my business card into a hat at a Linux conference in Portland, Oregon. A few hours later, I received an email...I had just "won" a developer edition HTC Dream -- the Android G1. 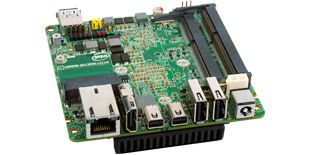 I was quite anxious to have a hardware platform where I could experiment with Android. I had, of course, already downloaded the SDK, compiled Android from scratch, and fiddled with it in an emulator. But that experience fell far short of Android running on real hardware. Until the G1. The G1 was the first device to truly showcase the power and potential of the Android operating system. And with that context, we are delighted to introduce the Orange Box! 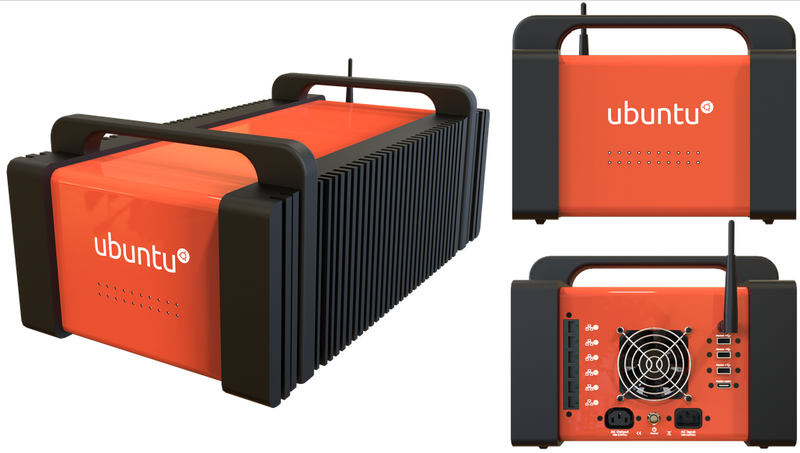 Conceived by Canonical and custom built by TranquilPC, the Orange Box is a 10-node cluster computer, that fits in a suitcase. 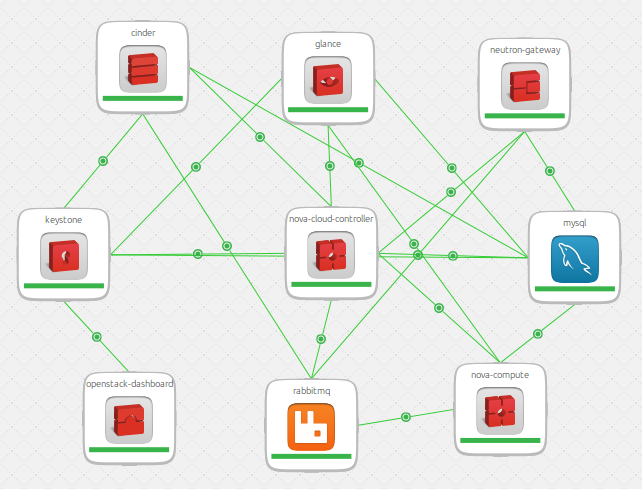 Ubuntu, MAAS, Juju, Landscape, OpenStack, Hadoop, CloudFoundry, and more! Most developers here certainly recognize the term "SDK", or "Software Development Kit"... You can think of the Orange Box as a "HDK", or "Hardware Development Kit". Pair an Orange Box with MAAS and Juju, and you have yourself a compact cloud. Or a portable big data number cruncher. Or a lightweight cluster computer. Gear head like me? Interested in the technical specs? Most planes fly in clouds...this cloud flies in planes! 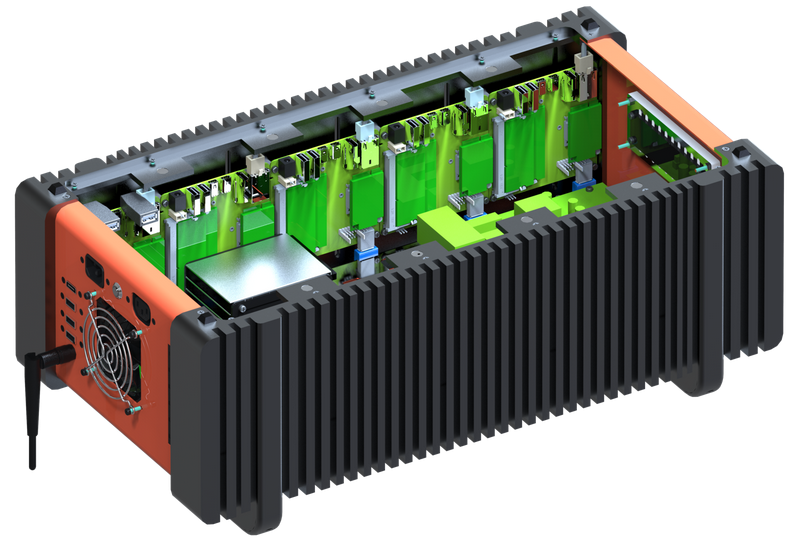 In aggregate, this micro cluster effectively fields 40 cores, 160GB of RAM, 1.2TB of solid state storage, and is connected over an internal gigabit network fabric. A single fan quietly cools the power supply, while all of the nodes are passively cooled by aluminum heat sinks spanning each side of the chassis. All in a chassis the size of a tower PC! 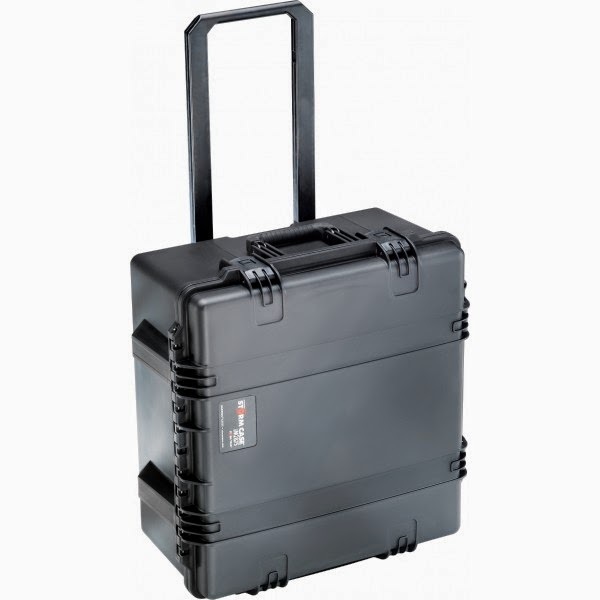 It fits in a suit case, and can travel anywhere you go. How are we using them at Canonical? 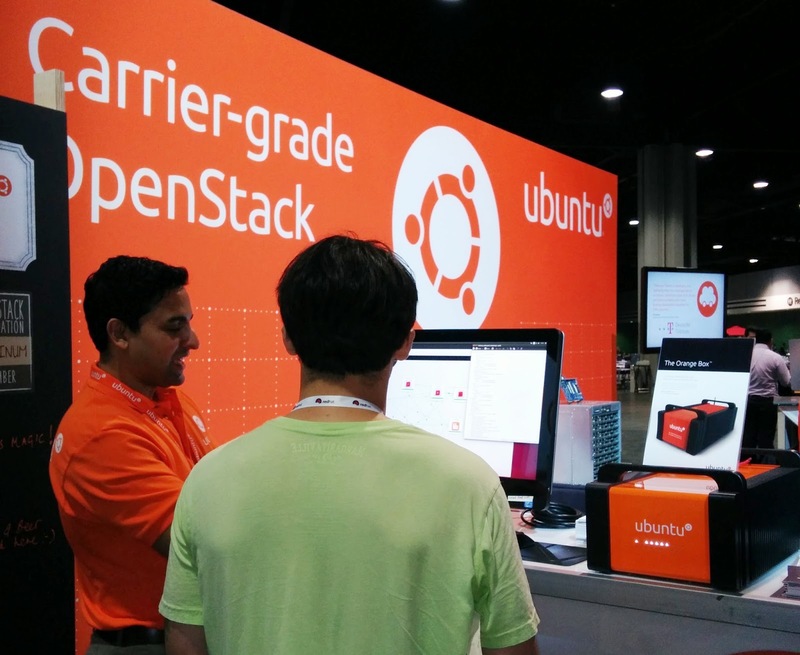 If you're here at the OpenStack Summit in Atlanta, GA, you'll see at least a dozen Orange Boxes, in our booth, on stage during Mark Shuttleworth's keynote, and in our breakout conference rooms. We are also launching an update to our OpenStack Jumpstart program, where we'll deliver and Orange Box and 2 full days of training to your team, and leave you the box while you experiment with OpenStack, MAAS, Juju, Hadoop, and more for 2 weeks. Without disrupting your core network or production data center workloads, prototype your OpenStack experience within a private sandbox environment. You can experiment with various storage alternatives, practice scaling services, destroy and rebuild the environment repeatedly. Safe. Risk free. This is Cloud, for the Free Man.